To view our houses for rent in Augusta GA and surrounding areas, click here! Searching for a house to rent at a reasonable monthly cost, in a safe and comfortable area? At Veterans Realty, you can search through our large database of residential properties and houses for rent in Augusta, GA and the surrounding areas. Even if you don’t find something that works for you right away, we can still help! Our listing options include houses that will be available for rent in the near future, giving you a chance to be first in taking a look when it’s available! The housing rental marketing changes quickly, and so do our listings – so planning ahead of time gives you a step ahead of others looking to rent! Our properties are located across the Augusta GA area – including Evans, Ga., Martinez, Ga., Hephzibah, Ga., with many homes for rent near Fort Gordon – all within reasonable prices for their location. Whether you want a specific amount of bedrooms, bathrooms, or are limiting your search to a specific budget, our search provides you with complete details on all available rental houses currently available. Look through pictures, read any rental requirements regarding pets, and find other rental information you need to make an informed decision – all here on our site! If you are in the market for your business, we also offer commercial real estate rentals. Search through our commercial properties for rent to learn about pricing, rental agreements, and availability to find the best location and property for you and your business. Whether looking to expand into downtown Augusta, relocate to Evans, or set up shop in Hephzibah, we have an option that will fit your needs! 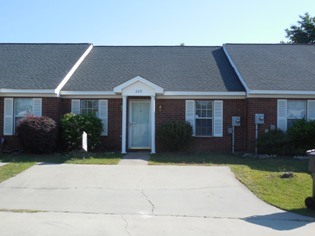 If one of our houses for rent in Augusta Ga. interests you, or you want more information on any of our properties, fill out our contact form or call 706-793-2400 anytime. We look forward to helping you find the perfect rental for you or your business!